She was just the second girl to break 18 minutes--and in Alaska, where treading through and snow and ice is part of the job, that's saying something. The West Valley High School junior won her second straight title, this time in 17:51.10, and to some astute observers she was inching closer to achieving something special: Entering the stratosphere of another all-time great, Allie Ostrander, a Kenai Central graduate who won three titles of her own from 2012-2014 and set the state championship course record in 2014 in 17:06.00. But Kramer, 16, won't necessarily have the same career arc as Ostrander, who went on to win Nike Cross Nationals in 2014. That's because she's an outright beast in another sport: Nordic skiing. 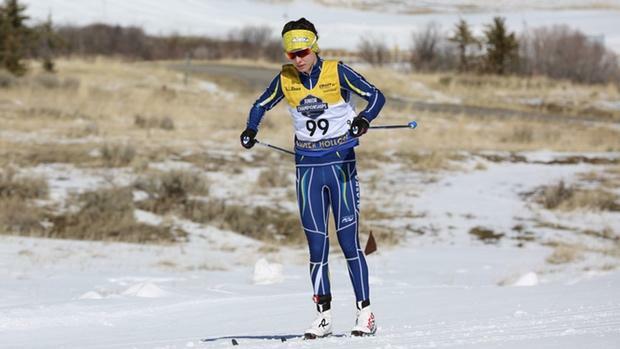 In December, Kramer finished third in a Junior Nationals qualifying race in Alaska at the 10K. Today, she begins another multi-race qualifying series in Craftsbury, Vermont, where she can potentially earn points to qualify for Junior Nationals in March. Last year at this time, she was third at the Cross Country Junior Nordic Skiing Championships in Alaska, in just the second big-time race of her career. Nordic skiing isn't an overly popular sport by the nation's standards. According to statistics available, only 4,705 girls countrywide competed in the sport in 2017-2018, along with 4,417 boys. The sport is largely performed in cold climate states like Alaska, Minnesota, Maine, Vermont and New Hampshire, among others. Still, Kramer is an emerging star. "She is able to transition from one sport season to the next and focus on the competitive season at hand," said Dan Callahan, Kramer's cross country at West Valley. But if you were still wondering why Kramer, who competes for the Nordic Ski Club of Fairbanks, didn't continue her breakthrough cross country season this fall--trying her hand at qualifying for either Nike Cross Nationals or Foot Locker Nationals--here's your reason. Once her state championships ended in September, another season began. "I'm currently one of the top three juniors in the United States," Kramer said of her Nordic skiing chops. Since her eighth grade year, the first year in which she was competitive in cross country skiing, it's played an important part in her life. That year she was one of the top skiers in her age division, traveling internationally for the Arctic Winter Games in Greenland. Two years later as a sophomore at West Valley, in 2017, she qualified for the U18 Scandinavian Cup in Finland and wore USA's colors for the first time, competing for the country's junior team. "I was fortunate to be introduced to it in Alaska," Kramer said. "It's a prevalent way of getting around. I know a bunch of people who do it and here it snows seven or eight months a year, so it's our main sport." The basics are this: In Nordic skiing, success isn't levied in PRs but rather in place. There are a series of races to compete in, not just one, and over multiple days. Athletes in Nordic XC compete in short sprints (1K), middle distance races (5K) and long distance hauls (10K). They don't wear helmets and wear skis that are traditionally narrower and shorter than downhill skis. Kramer is currently one of the top three ranked juniors in the United States, in one of the most competitive regions in the country. A year ago, she won her age group at nationals at the longest distance. She also hails from Fairbanks, which is smack dab in the center of Alaska and roughly six hours north of Anchorage. It's roughly 20 degrees below in January, and the definition of cold takes on new meaning through the fall. At times, training (as a runner) in the region has been difficult. But over the cross country season, Kramer managed to do just that, starting in June and finishing off her season by October. She raced once more time after her state championships, scoring a PR of 17:18.70 at the Nike Hole in the Wall Invitational in Washington. Two weeks before state, she also posted a PR in the 3200m, posting an 11:07.00 in the 3200m. Those times on their own were nationally relevant. Her 5K best ranked No. 48 nationally, while that 3200m time largely would grant collegiate interest--and for any other athlete, would project to drop considerably during the outdoor season. But Kramer is from Alaska, and the state sometimes doesn't get the benefit of "ideal" conditions. 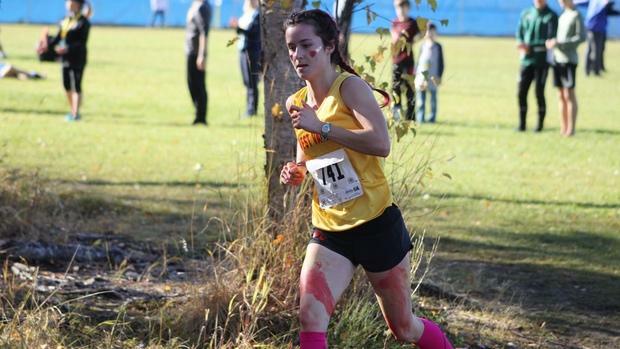 She briefly considered running a regional race in XC, but decided to move on to Nordic XC. And yet, there is no question Kramer displayed remarkable talent this fall, which forced her to ask some questions about she wanted from running moving forward. Her father, Michael Kramer, ran collegiately at Washington State, so there was family history to keep in mind. 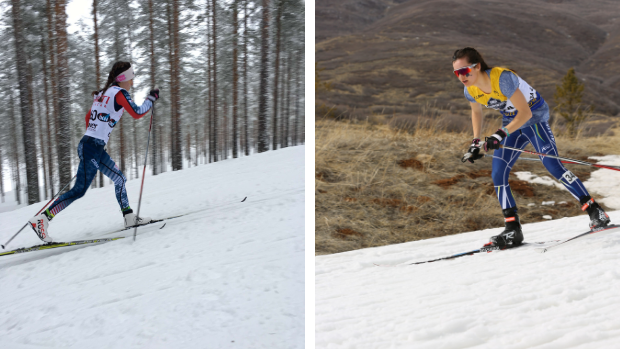 But since she began Nordic skiing in the seventh grade, she had effortlessly picked it up. She had some things you couldn't teach. "The technique is really tricky as a skier," she said. "I"m not a natural skier. I'm a natural runner. But with my genetics and my background in running, it helped with the aerobic aspect of it." But she also has a future to consider, and potential scholarships. Running could get her there, though so could skiing. One day, Kramer said, she would like to qualify for the Olympics. She said her hopes are still to continue skiing in college, though she extends there there are only about "10 colleges that offer good ski programs," most of which being in the Pacific Northwest and Alaska. She's told her parents that "if an Ivy League school wants me, at that point I probably won't be able to say no and I'll do cross country and track." What Kramer will admit, however, is that running and skiing have played integral roles in her improvement. Cross-training has kept her mileage in the low 20s, while she hasn't done a ton of speed work--the conditions in Alaska really won't allow for it. But Callahan has leaned on successful interval training, which combines nicely with Kramer's Nordic XC training. "The benefit of ski training for her is that it allows for her to train long hours to maintain and broaden her aerobic fitness with a minimum of impact," Callahan said. 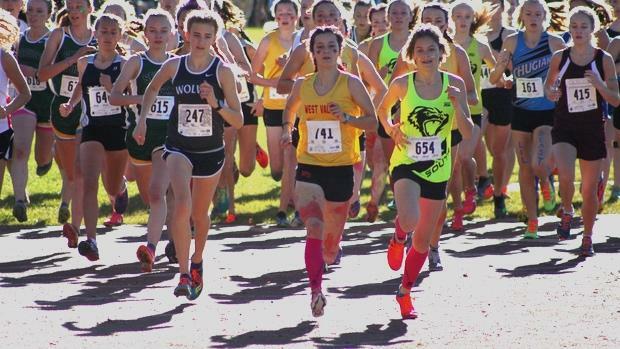 Even without a huge training block, she was able to break 18 minutes at the state championships. Historically speaking, Ostrander ran 17:50 as a junior on the same course. "I really didn't think it was possible," she said. "The only person who had done that before was (Allie), and the course was so hilly. But I was really excited that I could raise the expectations of what a cross country runner from Alaska could do." Once Nordic skiing ends, Kramer will dive into track. But even then, it will be tough to train. She raced in just two two events last year, both in May. She didn't break 5 minutes in the 1600m or 11 minutes in the 3200m, and failed to qualify for the state championships. And there's a reason for that, she said. After two long seasons, she said the potential for injury is high once she steps on the track. But following her incredible growth this fall, coupled with what should be a successful Nordic skiing season, Kramer should have the chops to do both in 2019. "I'm excited to see what I can do."